Thank you to everyone who has supported Aldea Felina in 2018. We are happy to announce the successful adoption of 103 cats and kittens and are currently preparing the year end information for you. Watch this space! Are you thinking of adopting a cat? Please visit us at Aldea Felina! We are sure you will find your perfect cat and by adopting from us you give another cat the chance of being rescued. We cannot accept any more cats until we release the pressure and make adoptions. Pass on our name to all your friends and family -every cat life matters! In our shelter, we have a weekly rota of volunteers, caring for and playing with our residents. Kitten season is upon us and we have vacant shifts that we urgently need to fill. Without your help, our kittens and cats do not get what they deserve - the best! If you have four hours a week to give to our cats, they will be very grateful. Take a look at all the cats registered on our lost and found page. Do you know any of them? Owners/foster contact details are given for each cat. Please share this information and help us reunite these cats with their owners. Adopt a cat from Aldea Felina - you have a friend for life! Don’t leave your cats behind... be remembered! If you love your cat like we love ours, then you are surely concerned about their future, if they survive you. Providing for them will give you peace of mind, knowing your precious pet will be cared for and not neglected. Talk to us about securing a safe haven for them by including Aldea Felina and a donation in your Will. Contact us for more information, we are happy to talk to you and give you advice. Have you heard about our very successful second hand charity shop in Els Poblets? We have friendly teams, working together a few hours a day, to sell high quality clothes, shoes, books, jewellery, kitchenware and more - to raise funds for our cats. We have shifts free; if you would like to meet new friends, help cats and have fun, all at the same time, we look forward to hearing from you. 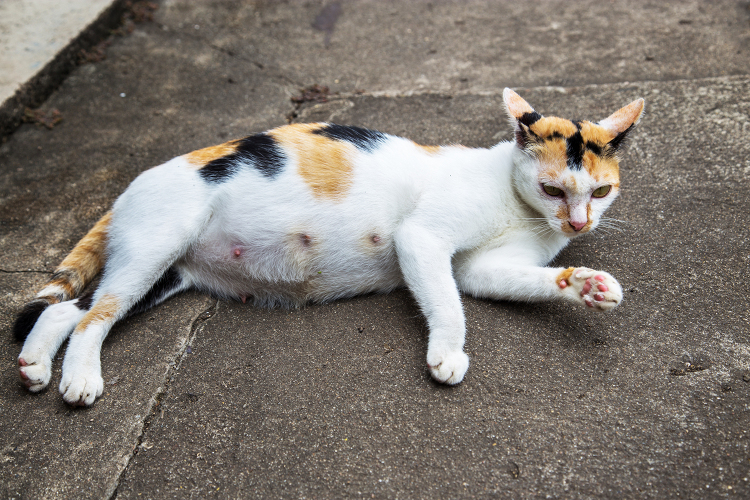 When you see a new cat at your door or in your local area, ask yourself one question: "Is this cat castrated?" Seeing a new cat around could mean problems ahead - problems that you can easily rectify. Uncastrated cats, both domestic and wild are causing many people great stress and upset. Act before it's too late or instead of one cat at your door, you could have six. 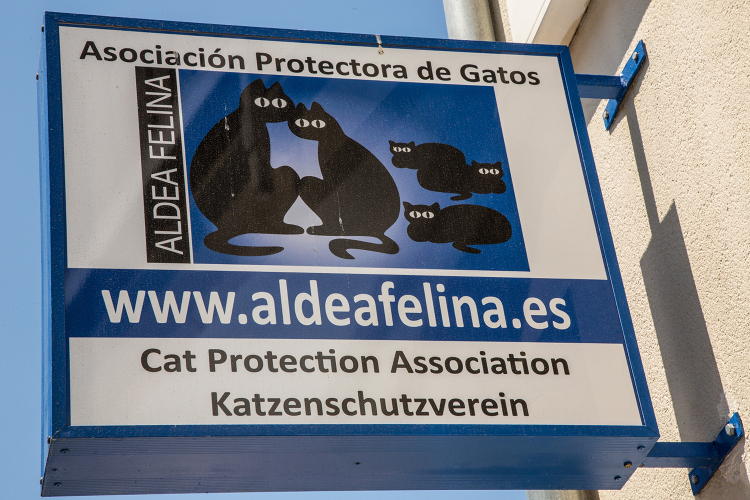 We are “Aldea Felina” (village of cats); an officially registered non-profit volunteer organisation, using our skills and love of felines to help abandoned cats in our community. We are privately financed by donations, selling items in our 2nd hand shop and bequeaths from Last Wills. We are proud of the work we have been involved in since opening our doors in 2001. Take a look around our website, read here for yourself about the different jobs we do and imagine how much time and organisation we invest in our association, to accomplish the many tasks required of us. If you have something to offer our cats, get in touch - more hands make light work! Have a heart - save a life! Each donation affects the lives of cats in our community.